Would you buy a $100,000 pick-up truck? Ford is introducing the 2018 Ford F-450, a new F-Series pick-up that can tow 15 tons and costs nearly $100,000 to drive off the lot. The automaker is targeting big ranchers, contractors, and RV owners with what it says is the most expensive mass produced truck ever. In case you haven't been vehicle shopping lately, pick-ups have gotten a lot more expensive in recent years. The average transaction price of a full-sized pick-up last month was nearly $47,000. 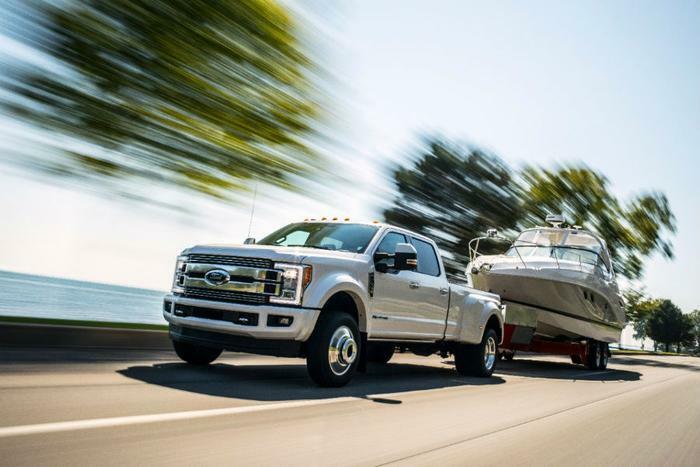 The Ford Super Duty trucks, however, take it to another whole level. The F-250 Super Duty Limited 4x4 starts at nearly $81,000. The base price for the F-450 Super Duty Limited 4x4 is $87,100, with the price rising to over $94,000 when you check each of the option boxes. Performance automotive manufacturer Shelby American is also introducing its version of the Ford F-150 pick-up, which carries a $100,000 price tag. The F-150 Super Snake has a 750 horsepower engine and more power than any of its previous trucks. Michael Harley, group managing editor for Kelley Blue Book, says you probably won't see to many of these vehicles on the road.